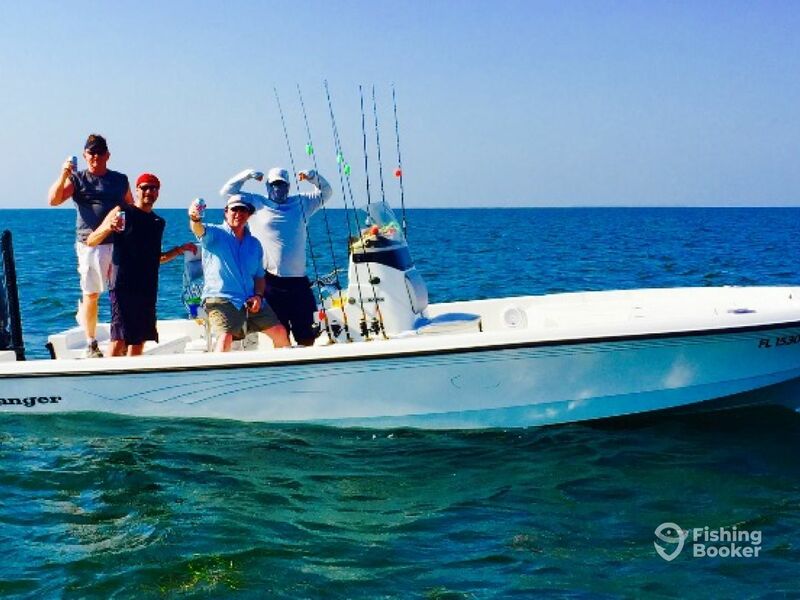 Bamboo Charters runs year-round fishing trips out of Islamorada. 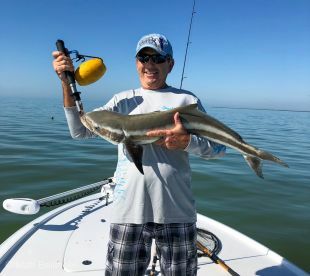 You will be exploring the flats, backcountry waters and inshore waterways, scouting around for Tarpon, Redfish, Trout, Sharks, Cobia, Mackerel. 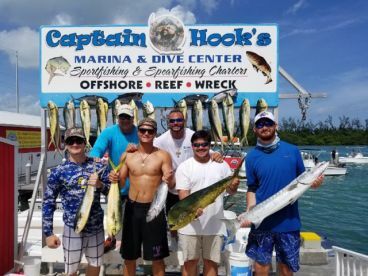 The crew is there to accommodate to anglers of all levels of expertise and they offer a variety of packages to choose from. 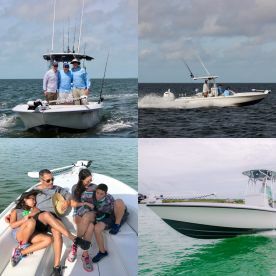 From family with kids on a vacation to seasoned anglers wishing to land Tarpon, Bamboo Charters has exactly what you need. At the helm of Bamboo Charters is Captain Matt Bellinger. He is an experienced captain who simply loves what he does. 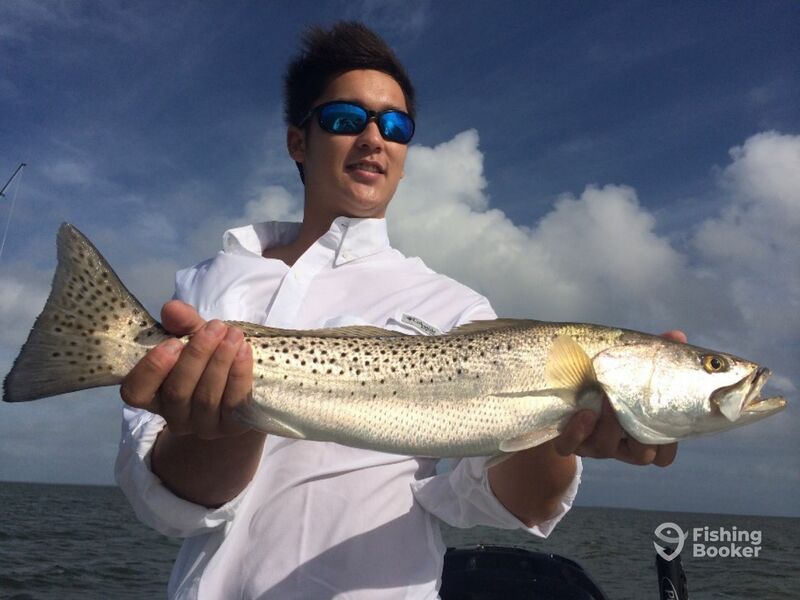 He aims to make his fishing trips memorable and enjoyable. With Bamboo Chartres, it’s not just about getting the fish, but about the art of fishing. You will be fishing from a 24’ Ranger boat that can take up to four anglers. The boat is powered by a 250 HP Mercury engine and can give you a fast ride. The boat is equipped with the navigational gear, and stores the required safety equipment. 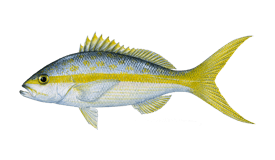 She is fit to get around the shallow waters and bring you close to the fish that hide inshore. The trips prove productive year round. 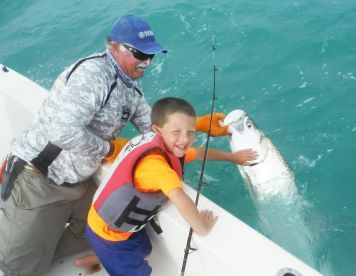 There are some peak seasons, such as Tarpon in summer, but overall, you place a safe bet any time you fish Islamorada. 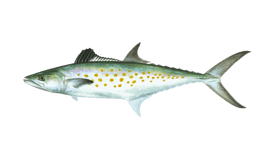 The crew will provide all the fishing gear, as well as lures and bait. You need to bring a cap, sunblock, sunglasses, food, snacks, and drinks of choice, as well as a camera. Luckily enough, Bamboo Charters has several other boats in their fleet. 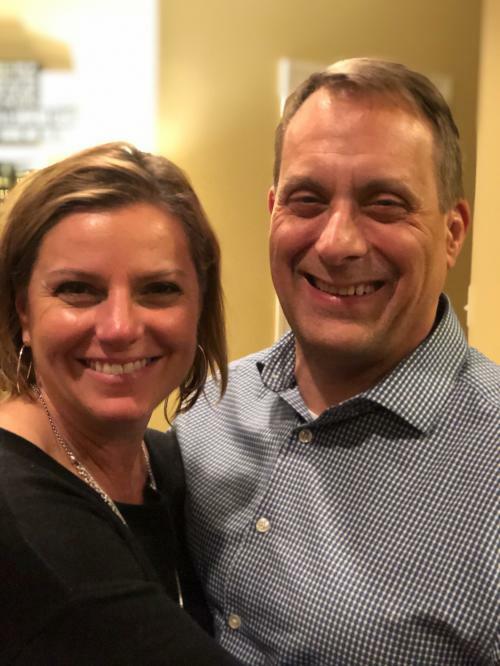 Just scroll down and click on Captain Matt’s name to see available spots. If you want a nice add-on to your vacation, Bamboo Charters is the right address. This trip gets us deep into the fishing waters of the backcountry. 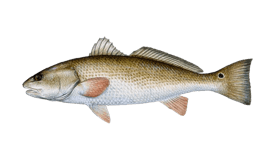 You will get the fishing gear and the fishing license is provided. You should pack food, snacks, drinks, sunblock, a cap, sunglasses, a camera, and adequate clothes. 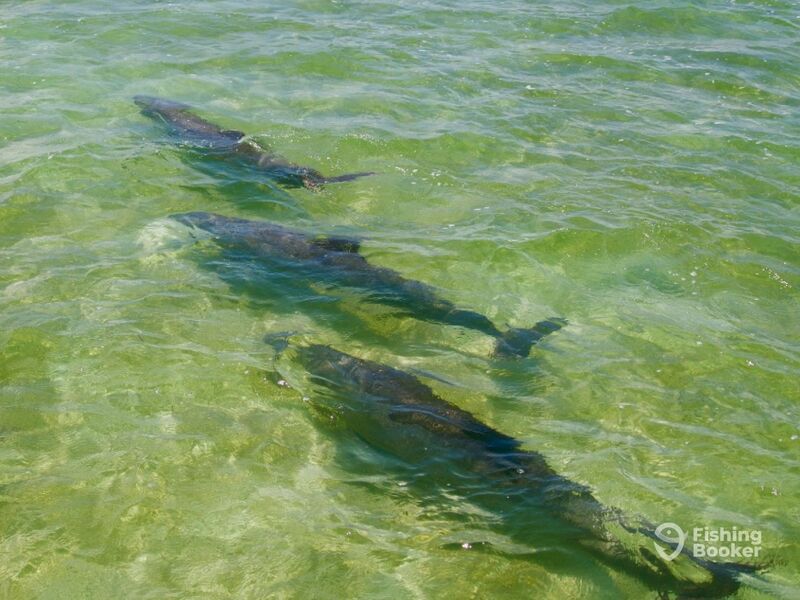 There are Tarpon, Redfish, Trout, and more to target. 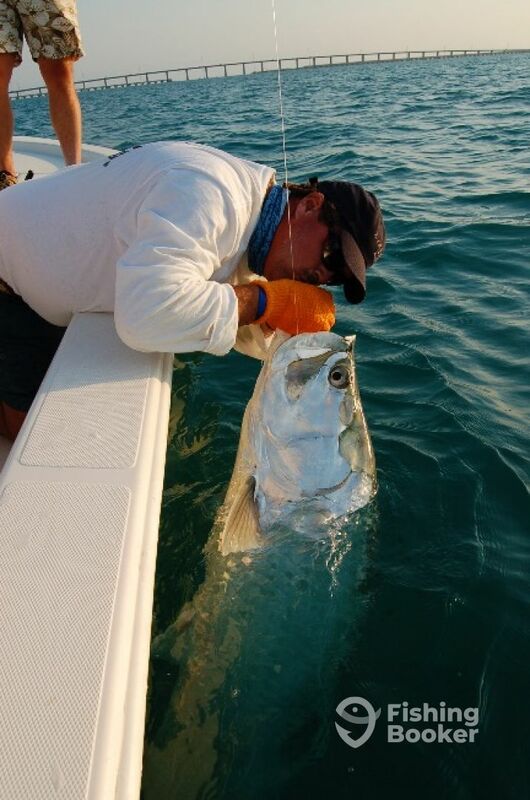 This trip is suitable for more experienced anglers. 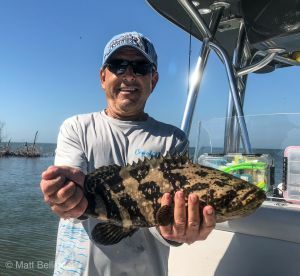 On this six hour trip you will have more time for scouting around the backcountry waters in search of species such as Redfish, Trout, Tarpon, and more. 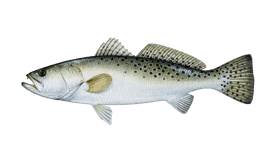 The crew will get the fishing gear and the fishing license is provided. You should pack food, snacks, drinks, sunblock, a cap, sunglasses, a camera, and adequate clothes. 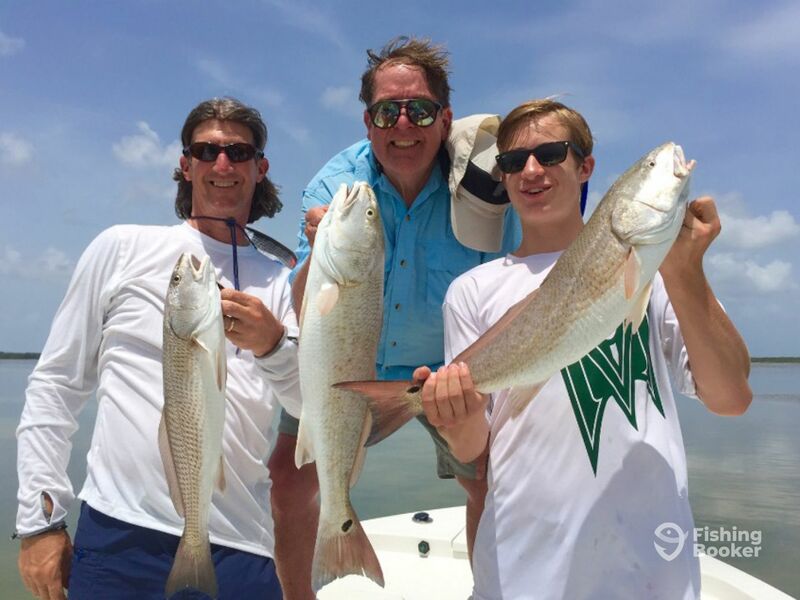 This trip is suitable for more experienced anglers or enthusiasts who want boost their fishing stamina. 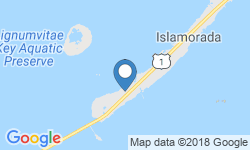 This morning trip is a great chance to go after Sharks that inhabit Islamorada waters. 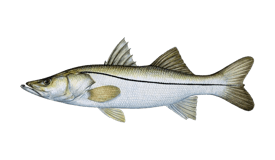 You will have a couple of hours to explore these fisheries and get a nice catch. Your trip can be a real treat and can be filled with fun. You will get the gear and the license, but should bring snacks, drinks, and adequate clothes. It might be a good idea to pack sunblock, a cap, and sunglasses. 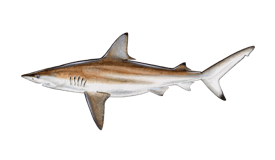 This Shark trip means an afternoon filled with action. 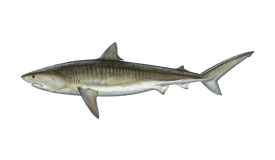 Islamorada has a lot to offer to Shark fishing enthusiasts. The crew will supply the gear and the license, and you should add snacks, drinks, and adequate clothes. It might be a good idea to pack sunblock, a cap, and sunglasses. 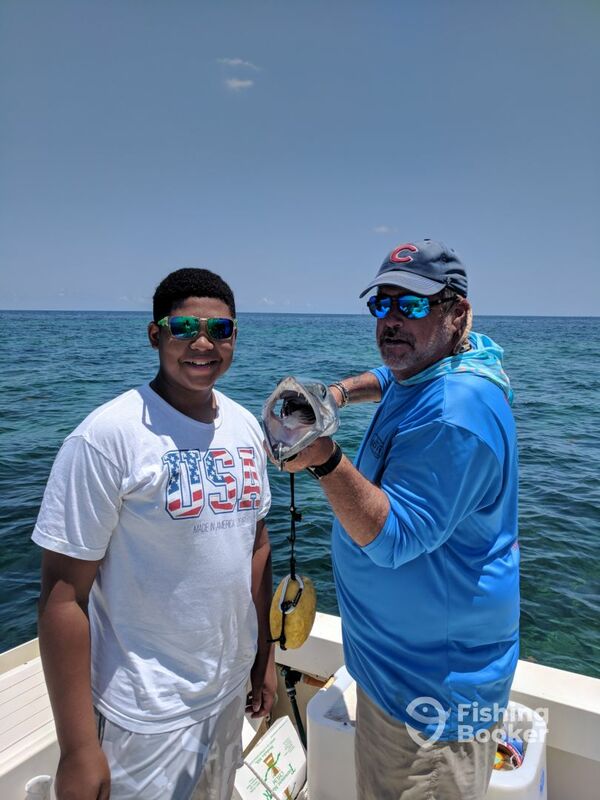 This morning trip is a great way to introduce your family to fishing. Fishing can be awesome, and you can target anything from Tarpon, Redfish, Trout, to Shark, and much more. Anglers with a busy schedule or first time anglers, come along. 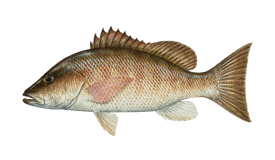 You will stay close to the dock and have enough time for fishing. The gear is provided, and you should bring snacks, drinks, a camera, sunglasses, sunblock, and a cap. 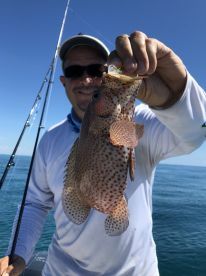 This 4 hour half day trip is a great way to see the sites around the Florida Keys and get in some fantastic fishing action! 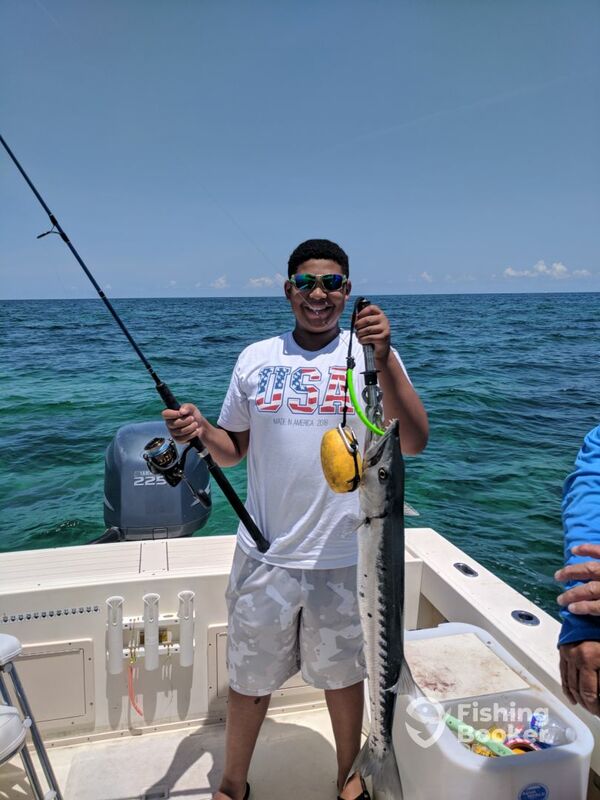 This trip is great for families and groups where you have limited time due to a busy vacation schedules or for families wanting to introduce younger members to the fantastic activity. 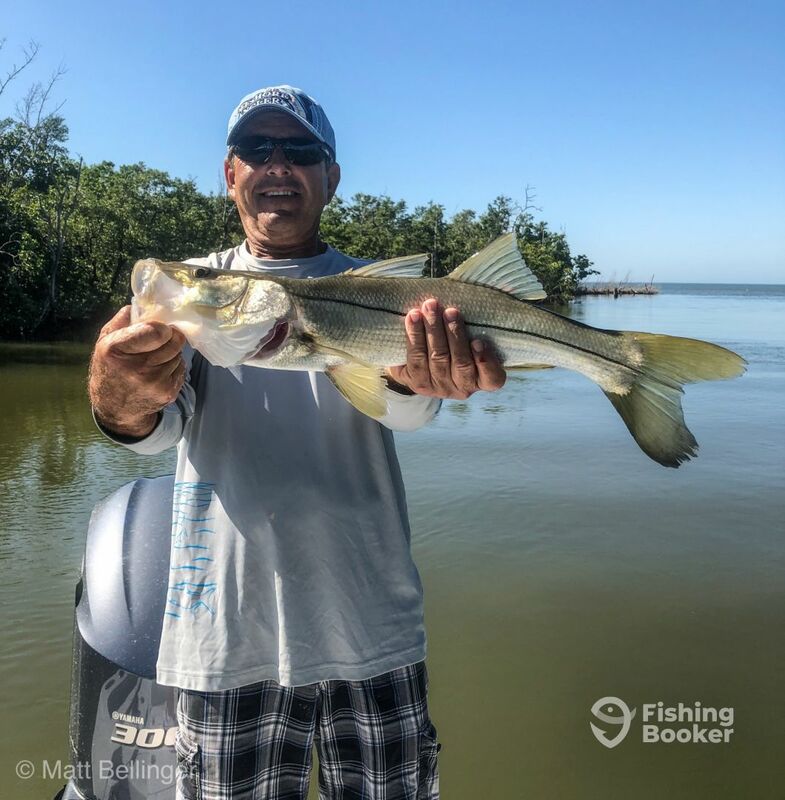 We don't travel as far from the dock on this trip so you can maximize your fishing time. The trip is available throughout the day. Ranger Boats (Ski and wakeboard) originally built in 2014. Powered by a 250HP Mercury Marine engine, with a maximum cruising speed of 44 knots. Capt. Matt Bellinger is a U.S.C.G. licensed captain, PADI Master SCUBA Diver Trainer emeritus and will soon finish classes to attain his Master Naturalist certificate from the University of Florida. 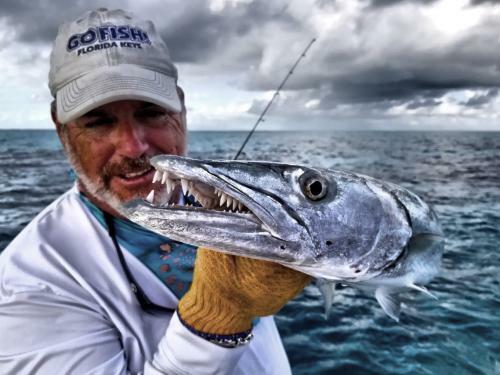 Captain Matt loves fishing the Florida Keys, and his trips are not a typical fishing outing. 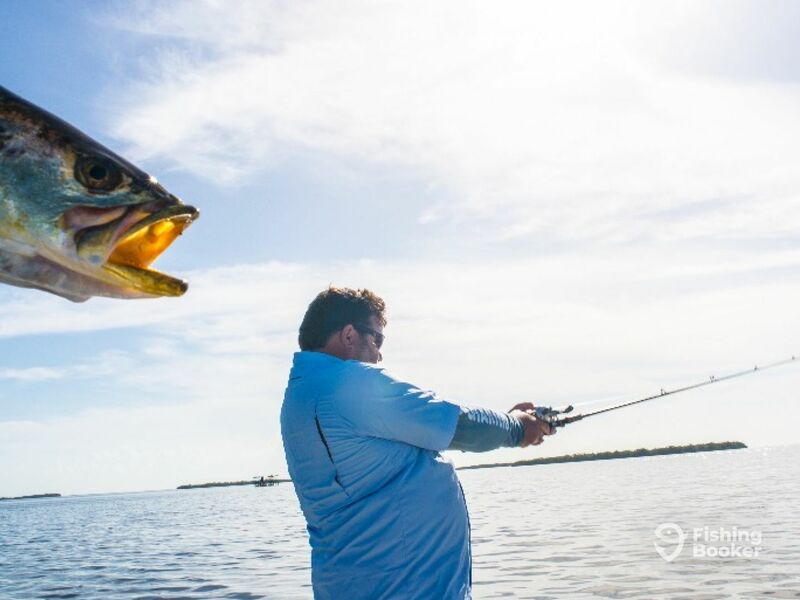 He pays attention to the comfort of his guests and loves the art of fishing rather than just catching fish. He will work hard to make you trip unforgettable. Excellent outing with Captain Tucker!!! I chose to do a single 6 hour backcountry trip with Captain Tucker and had an excellent experience. Captain Tucker has a great personality, very funny and also has some awesome stories. He put us on the fish right away and some how managed to keep us on fish here and there, even though the hot water temps should have been a problem. Excellent choice and I highly recommend he and Matt Bellinger for you backcountry fishing charter. I chose to do a single 6 hour backcountry trip with Captain Tucker and had an excellent experience. Captain Tucker has a great personality, very funny and also has some awesome stories. He put us on the fish right away and some how managed to keep us on fish here and there, even though the hot water temps should have been a problem. Excellent choice and I highly recommend he and Matt Bellinger for you backcountry fishing charter. Great times!! They call it fishing not catching however on this day we did both. 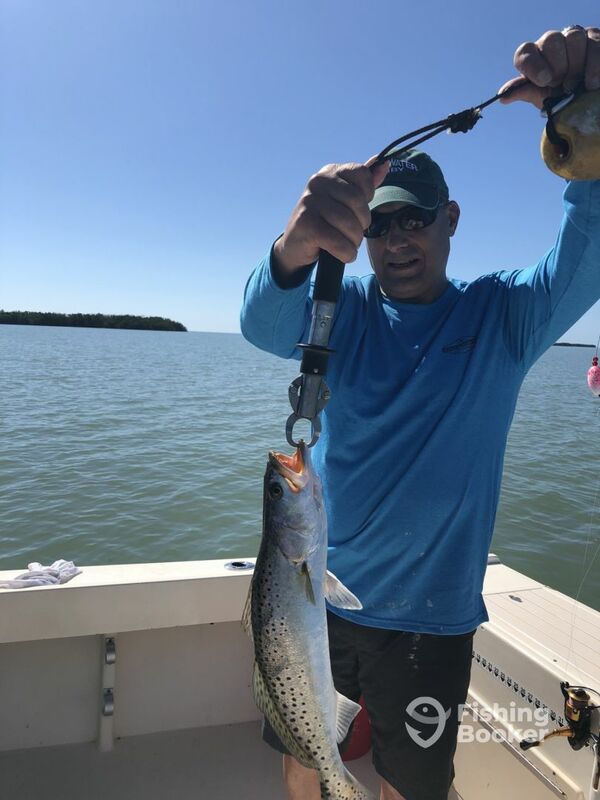 Had a really great trout bit and jumped to tarpon for the day. 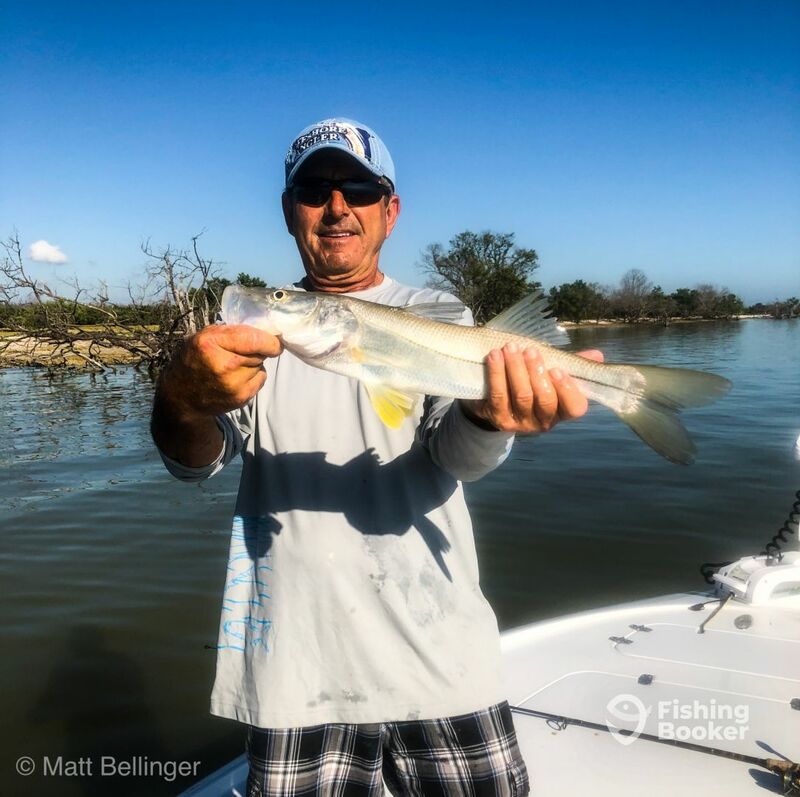 Captain Matt is really experienced and knows the best places to fish. Had a fantastic experience and will book with him again. David thank you for coming out with Bamboo Charters and the kind words. The action was pretty good that day. 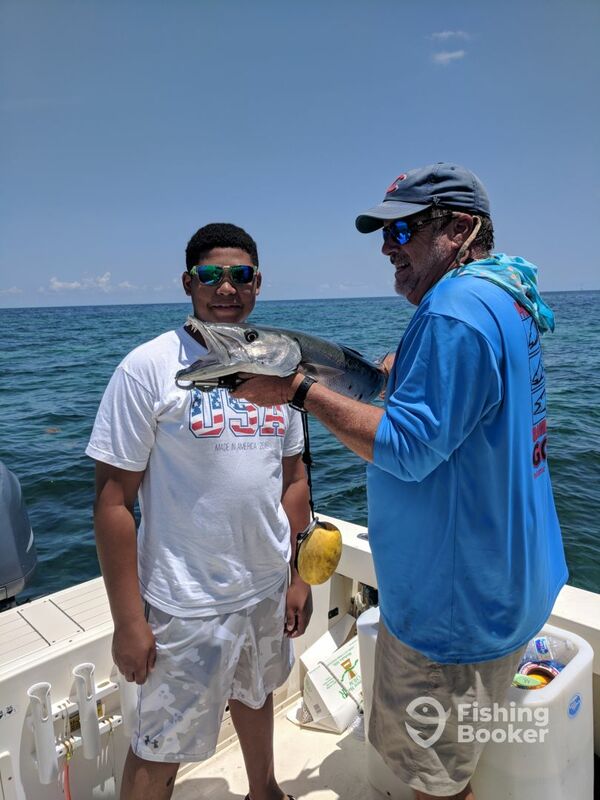 Captain Matt was great with me and my sons, 13 and 15. He is very knowledgeable, insightful and funny. We had to come in because of storm. He sat with us and tolerated the interrogation given to him by my boys about the business of charter fishing. 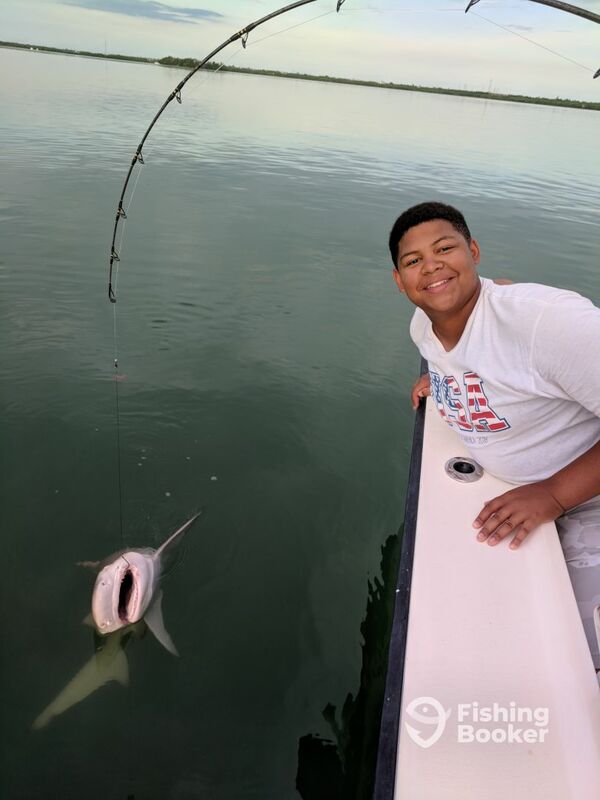 After the rain passed he took us back out and made my son’s summer with his catch of a lemon shark. Would strongly recommend. Doc thank you for bringing your sons out on the water. 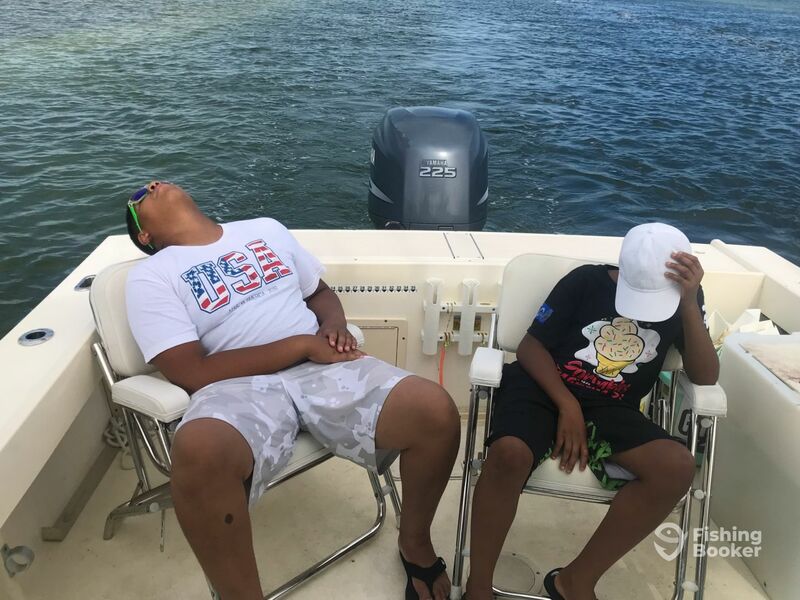 They were a blast and I think we wore them out fishing! The picture of them sleeping in the fight chairs says it all. Full day with Captain Anthony! 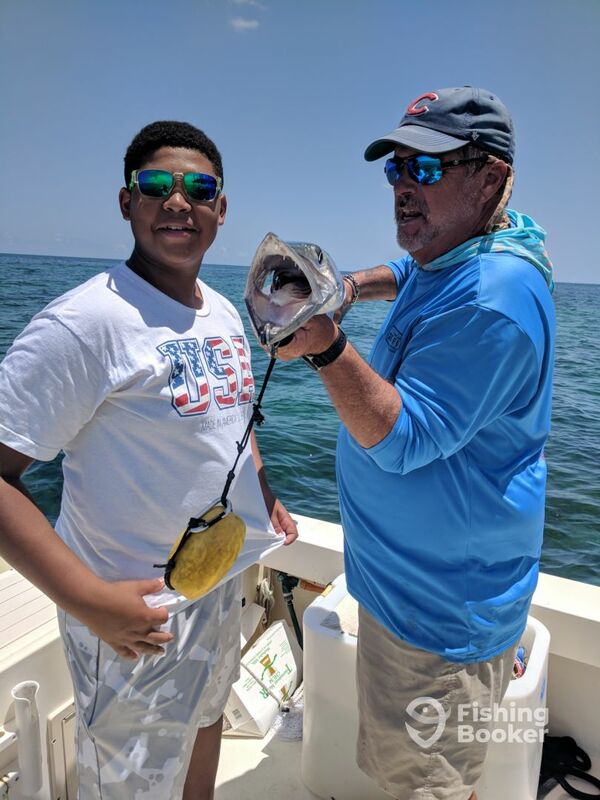 Best days fishing in ages, We hit on large number of difference species, Snook, Redfish, Black drum, Cobia, Tripletail Mangrove Snapper and Seatrout. The captain put us on the fish and let us enjoy! Thank you Rob for the glowing review! 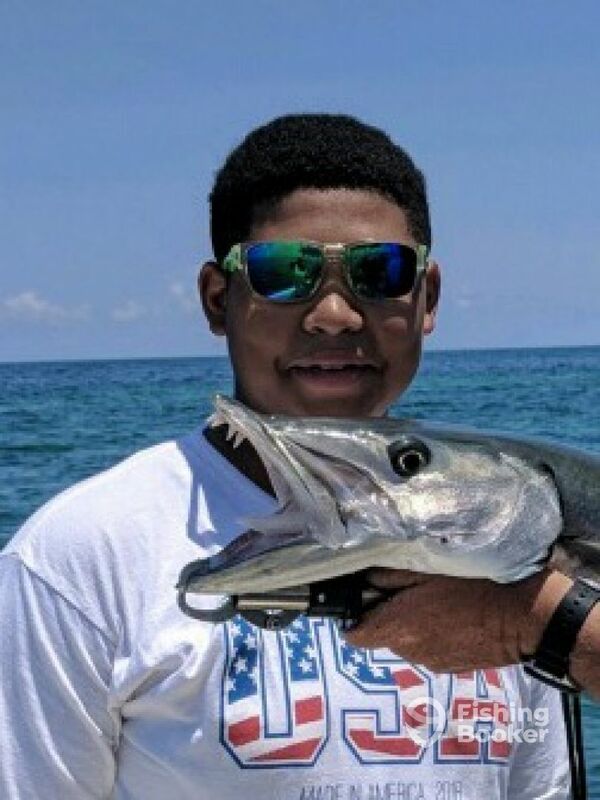 Capt Anthony said that you all put on a clinic on how to catch a ton of fish. 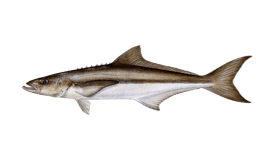 That Cobia was a great catch along with the others. Thank you for your business and we look forward to more trips with you. if I said how many fish we caught today, it would leave to high an expectation. Let me just say it was a really good day. Thank you Wesley for the elegant understatement of your success on the water today. 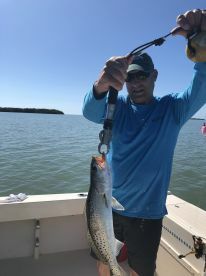 Capt Anthony said that you caught a pile of Redfish and Snook as well as Sea Trout and others. We love hearing from happy clients. Come on back anytime, the fish will be waiting for another fight!